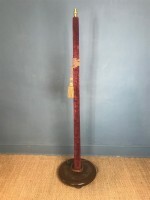 A late Victorian Benson design Pullman lamp c 1900 rewired and tested with antique style bronze double flex. 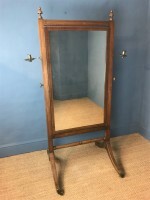 A Regency mahogany swing frame Dressing Table Mirror attributed to Gillows of Lancaster circa 1820 in well figured Cuban mahogany with the original mirror plate. 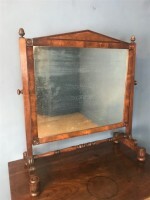 A Regency mahogany and ebony inlaid cheval mirror circa 1820 in lovely dry original condition with brass candle sconces and original mercury plate . 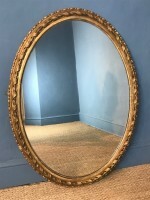 A large mid 19th c English gilt oval mirror circa 1860e have our own van and can offer well priced deliveries to all parts of the UK including weekly deliveries to London and the Home Counties. 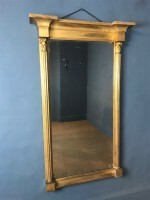 A George 11 mahogany and parcel gilt pier mirror circa 1740 in Kentian style with swan neck pediment and lovely old 18th c mercury glass .e have our own van and can offer well priced deliveries to all parts of the UK including weekly deliveries to London and the Home Counties. 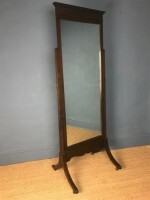 An Edwardian mahogany cheval mirror circa 1910 in excellent condition and smooth working order. 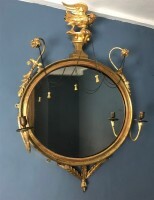 A Regency gilt oval mirror circa 1820 surmounted by an eagle. A large late 19th c French Sevres porcelain and ormolu mounted vase lamp in 18th c style with hand painted reserves after Watteau . Hairline crack to one panel. 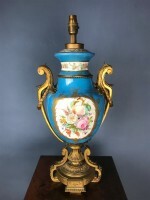 A realty fine quality Paris made lamp with well chased gilt bronze mounts and excellent painting to the porcelain. 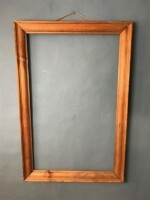 A late 19th century French carved beech wall mirror in rococo style circa 1880 with the original mirror plate . 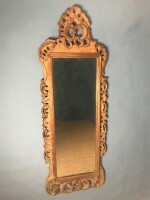 A Gothic Reform oak overmantel Mirror with ebonised detail circa 1880 by J H G Elliott Newland Sherborne. A Gothic Reform oak overmantel Mirror with ebonised detail circa 1880 by J H G Elliott Newland Sherborne. 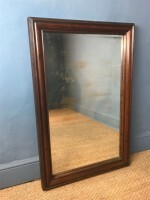 This well made mirror was made probably and certainly retailed within 100 yards of our premises though there seems to be no records left of which building they traded from . A pair of Edwardian anodised copper circular mirrors circa 1910 with original bevel plates. One with slight chip to corner of bevel. 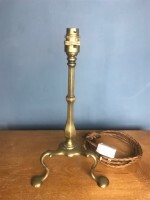 A Victorian brass oil lamp circa 1860 with cut glass reservoir bowl. 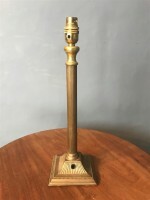 Read more: A Victorian brass oil lamp circa 1860 with cut glass reservoir bowl. 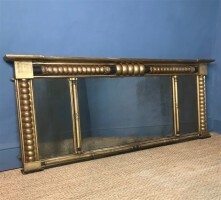 A set of four Gothic Reform gilt brass wall light brackets circa 1870 attributed to John Hardman and Sons Birmingham. An Art Deco opalescent glass 5 branch icicle chandelier circa 1930 in mint green lacquered gilt brass and with opalescent glass dishes and icicle cascades in the style of Lalique.